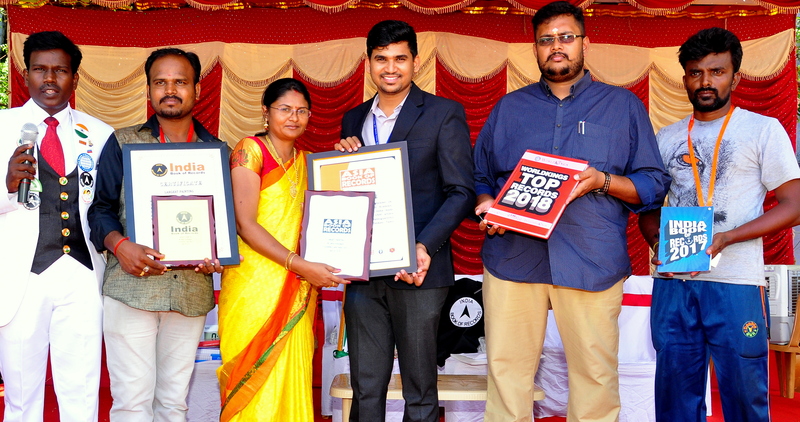 What you love, give it back in the form of service, and you do more than succeed. The artists are receptacle of emotions. Passion whispers through their feelings and beckoning toward the highest quality of their work. 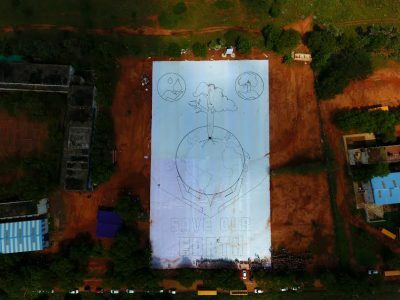 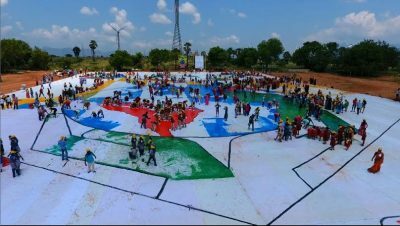 M. Selva Vinayagam (born on September 28, 1990) of Bharathalaya Cultural Academy, Tenkasi, Tirunelveli, Tamil Nadu, along with 991 Artists Painted a 64,000sq.ft. 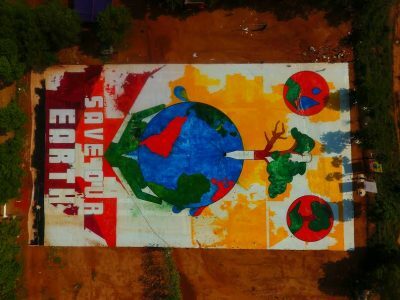 painting on global warming, at Arulmigusenthil Aandavar Polytechnic College, Tenkasi, Tamil Nadu, India on April 8, 2018.